Located in Downtown Edmonds on Saturdays. No market August 15th, due to the Taste of Edmonds. 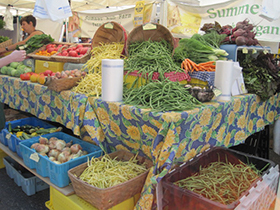 An award-winning year-round market, located on Ballard Avenue between 20th Ave NW and 22nd Ave NW. Operates on Sundays, between 10 am and 3 pm.